Pythons-Burmese - Burmese Python concern. I have a small burmese python. I notice that some pink blob is coming out of her tail. I assume its her hemipenes. I don’t know why is it out and how do I pop it back inside without hurting her? 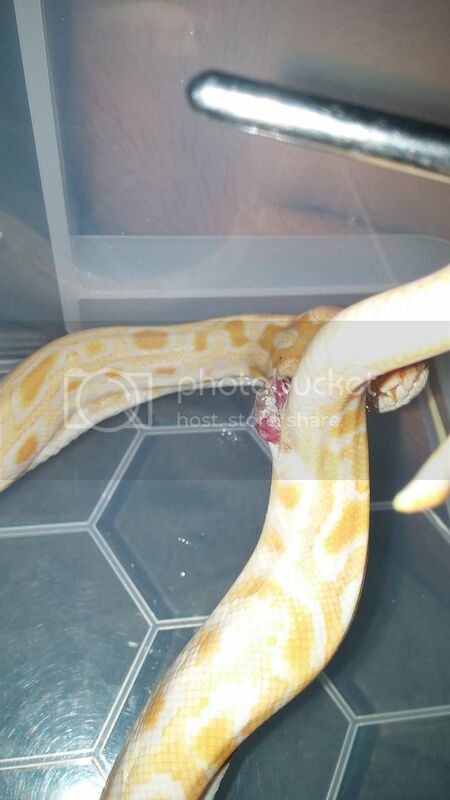 Please don’t let it dry out and that’s a male since it has a hemipenes but warm sugar baths are suppose to help but if its swollen,scabbed and been out for a while see a vet so he/she can fix it without it getting worse leading to amputation never had this problem but I would see the vet(just my opinion).